With permission from Bro. 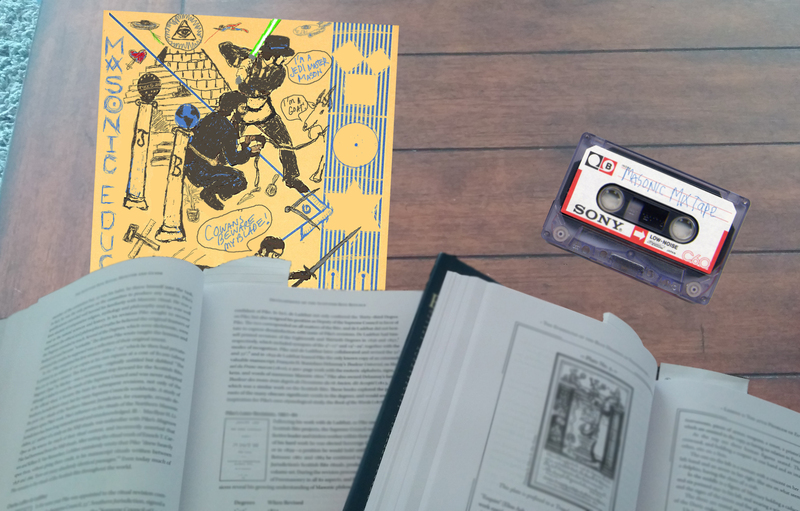 Jason Mitchell, I am re-posting a couple items from his blog: Ars Latomorum: The Manic Magniloquence of a Masonic Madman. Bro. Jason is a regular contributor to the discussion happening on r/Freemasonry and often provides wisdom, usually coupled with a bit of sardonic wit and probing questions. Brother Jason A. Mitchell received the degrees of Freemasonry in Wasatch Lodge № 1, F&AM of Utah, in 2002 and served as Worshipful Master of Wasatch Lodge № 1 in 2008. He became a 32° Master of the Royal Secret of the Ancient and Accepted Scottish Rite, Orient of Utah, in 2002, and coroneted a 33° Inspector General Honorary in 2013. His service in the Scottish Rite includes: founding the Utah Scots Guard (2005,), Venerable Master of the Lodge of Perfection (2008), and Wise Masterof the Chapter of Rose Croix (2009), Commander of the K∴C∴C∴H∴ Club, Director of the Ceremony of Remembrance and Renewal, and Chairman of Education for the Orient. Not contented with only one Rite of Freemasonry, Brother Mitchell was Exalted a Royal Arch Mason, Greeted as Cryptic Mason, and Knighted into the Masonic Orders of the Temple and of the Red Cross, and of Malta (Knights Templar) in 2003 in the Utah № 1 York Rite bodies in Salt Lake City, later serving as the Excellent High Priest (2008), Illustrious Master (2009), and Eminent Commander (2008) before being invited and initiated the Order of the Anointed High Priesthood of Melchizedek (2009), Order of the Thrice Illustrious Masters of the Silver Trowel (2009) and the Utah Past Commanders’ Association (2009) and ultimately the Knights York Cross of Honor (2010). In 2012, Brother Mitchell became a charter member of East Denver Council № 425 of the Allied Masonic Degrees, later demitting and becoming a charter member of Simons-Behle Council № 544 (2014). Brother Mitchell was made a Knight of York of the York Rite Sovereign College (2012), is a recipient of the Knights Templar Cross of Honor (2012), holds the VII ° in the Societas Rosicruciana in Civitatibus Foederatis, and was initiated a Knight Companion of the Red Cross of Constantine (2014). Brother Mitchell is a charter member of Keystone Mark Master Masons Lodge № 00, where he served as the Right Worshipful Master for 2014. Since 2008 Brother Mitchell has served in the Grand Bodies of the York Rite, being elected and installed the Most Illustrious Grand Master of the Grand Council of Cryptic Masons of Utah in May of 2015. More on his journey can be found here. As a result of many years of consideration, I’ve found it beneficial to write down some personal Articles of the Craft. Statements and absolutes I hold to be true for the Craft. 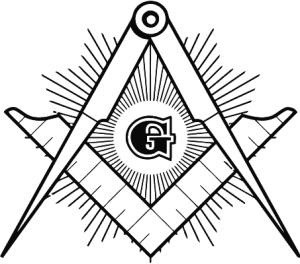 Freemasonry is a philosophical and initiatic Order, emerging from the noble religious, rationalist, and philosophical systems of the Renaissance and the Enlightenment. Freemasonry requires her adherents to personally reconcile Faith and Reason. The object of Freemasonry is to enhance one’s rational and spiritual experience of the Divine and Creation. Charitable acts are a natural consequence of this object, and are the most outwardly visible manifestation of individual transformation – but they are not the primary object of this enhancement. Freemasons are Keepers of one of many means of Initiation, not withholders of Initiation. As such the method and manner of initiation depends first on the aspirant’s bona-fide desires, which may not be communicable to those without similarly resonating desires. Therein arises the difficulty in promoting or explaining Freemasonry to the profane. Freemasonry as an institution does not seek to change society, nor does it make claims to be able to do so. 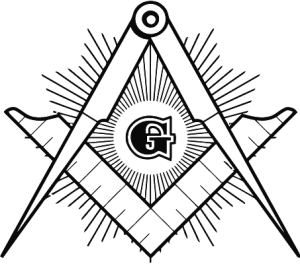 The institutions of the Craft exist to preserve and advance the tradition called Freemasonry. The institutions can however influence individuals to improve their lives and local communities based on the objects and methods of Freemasonry and their own personal transformation. 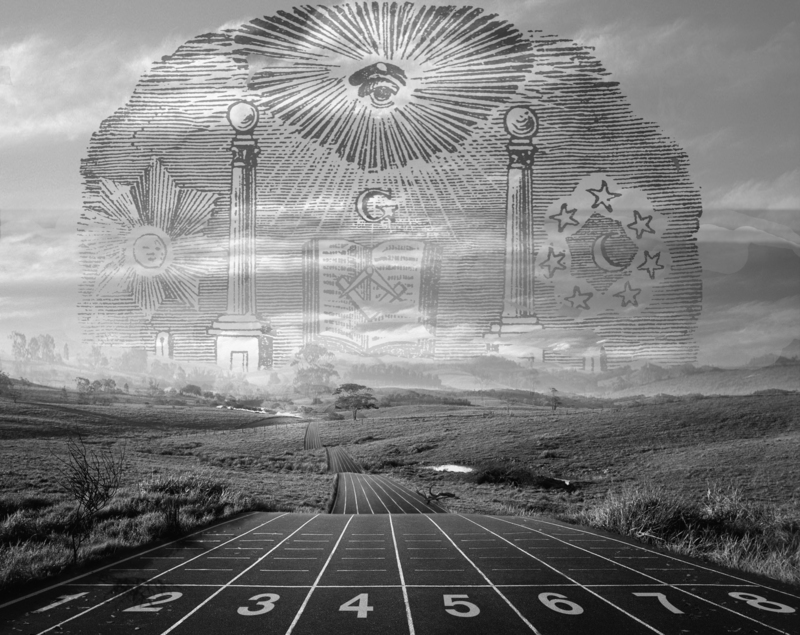 The organization of Freemasonry is a universal brotherhood under the fatherhood of the Great Architect, and does not concern itself with the borders and flags created by man. Long has Freemasonry provided her adherents with the right to work and travel in foreign countries – Freemasonry does not bind itself to any State. And therefore no aspirant may be excluded based on political or religious affiliation, but all Freemasons must be men of faith, and of noble political character – Masonry sees no contradiction in this. All Freemasons must be good men, but not all good men must be Freemasons. The Craft is not for everyone . Freemasons must be concerned not only with the quality of the aspirant, but also his fit, place, and long term desires within the Craft. Investigating Committees conduct their business on the assumption that the aspirant is not suitable for membership. The aspirant must demonstrate his virtue by his own intellect and social abilities. The legacy or power of the references, or family names is immaterial. The Lodge experience must be of high-quality, in the spirit of inclusive brotherhood. The standards for dress and dining must be above average. The dress code for any Lodge meeting should be dark suit with solid or modest tie with gloves. Formal evening attire is encouraged and recommended to officers and past officers. Dining experiences should focus on quality of the experience, not profit or fundraising. Any prayers or benedictions containing doctrinal references of any religious expression are antithetical to the precepts and Universality of the Craft to all Good men. Freemasonry is not nationalism. While the Craft requires her adherents to be quiet and peaceable citizens within the bounds of their moral and political compasses, Freemasonry itself is not a forum for nationalism, ultra-nationalism, or jingoism. Freemasonry is not conservatism. Freemasonry is not liberalism. Freemasonry is not an extension of any religious doctrine, denomination, faith, or belief system. Any semblance found between the Craft and one’s spiritual or religious beliefs is not proof otherwise. Nor are the requirements of any appendent body. Next Doctor Who: Is the Doctor a Freemason?